Wyco Tool’s new energy efficient Sure Speed motor requires less power consumption by using only the energy necessary for job completion, produces less noise, and maintains a longer life span than competing motors. 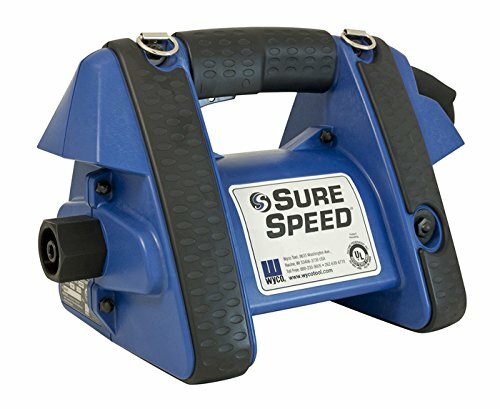 The Sure Speed produces uniform and repeatable vibration-every time. The user only needs one motor to power any Sha' length and head size. Sure Speed meets the highest safety standards in the industry. The units meets UL60745-2-12 Electrical Certification and OSHA 29 CFR 1910.95 for noise decibels. Its lightweight, ergonomic design minimizes labor hours and fatigue. A so'-start brush design provides for increased brush life. View More In Acceleration Sensors. If you have any questions about this product by WYCO Products, contact us by completing and submitting the form below. If you are looking for a specif part number, please include it with your message.